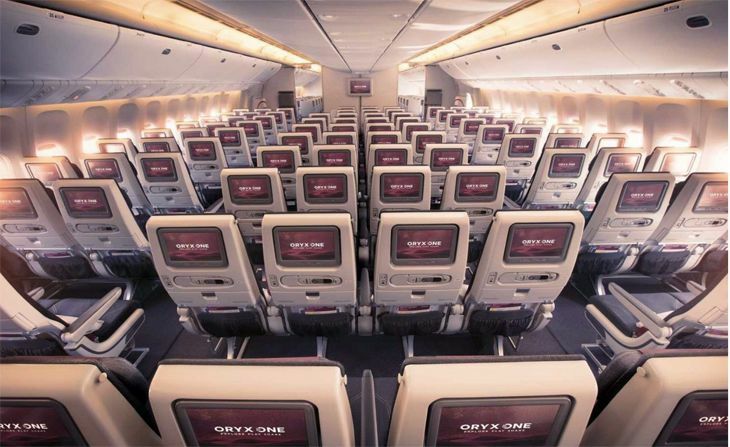 The annual World Airline Awards conferred by the U.K.’s Skytrax – based on input this year from almost 20 million participating global travelers – have something notably missing from their list of the world’s best economy class. The list of the Top 20 economy class airlines doesn’t include a single U.S. carrier. 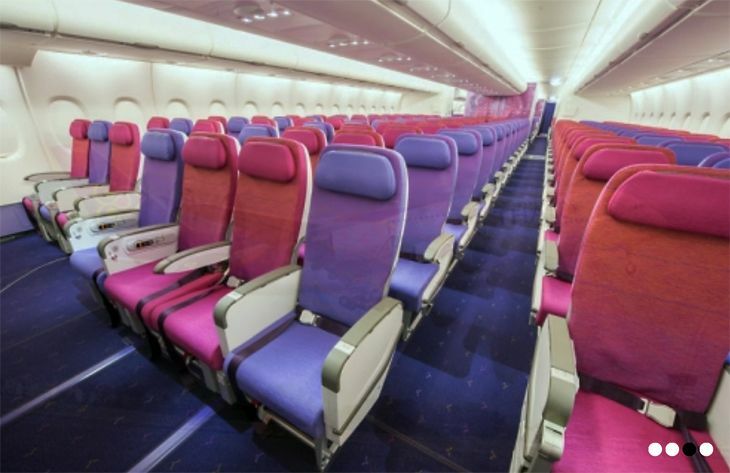 We’ve run several articles in recent months about how the refitting of U.S. airlines’ economy cabins generally involves installing less-bulky “slim-line” seats (which many readers say are also less comfortable), stuffing in extra seat rows to increase revenue (often at the expense of legroom and seat width), and most recently deploying a “basic economy” pricing model that takes away most of the in-cabin amenities that economy travelers had come to expect as their right (like the right to put a carry-on bag in the overhead bin). So maybe it should come as no surprise that travelers find more to like in the coach cabins of non-U.S. airlines. For that matter, European airlines don’t fare very well in the listing either. 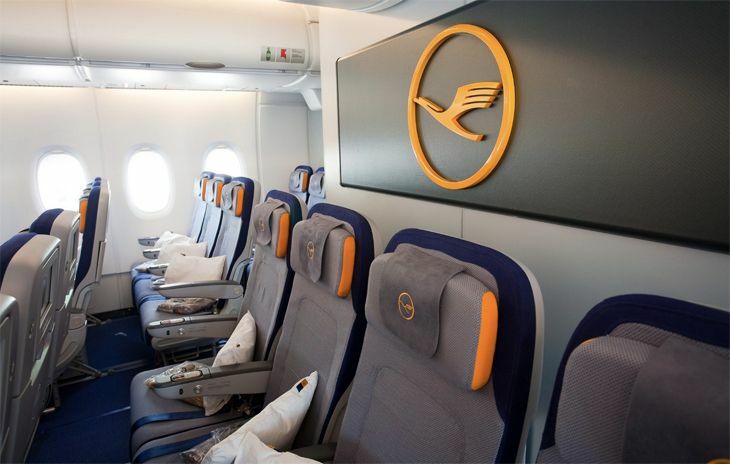 The Top 20 list of economy classes includes only a single European winner – Lufthansa at number 10 (unless you count Turkish Airlines, since Turkey is in between Europe and Asia; Turkish ranked 11th). All the other Top 20 winners are airlines from Asia, the Middle East and the Pacific. “The Award for the world’s “Best Economy Class Airline” is a coveted quality distinction representing passenger satisfaction assessment of the front-line Economy Class product and staff service standards that airlines provide across both the cabin and airport environments,” Skytrax said. 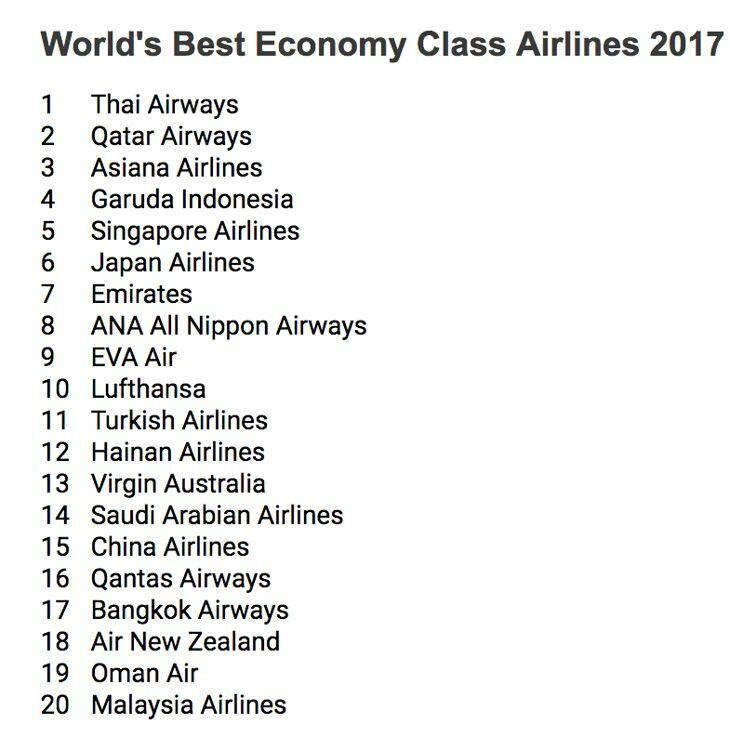 First place in the Economy Class rankings went to Thai Airways, followed by Qatar Airways, Asiana, Garuda Indonesian and Singapore Airlines. Looking only at specific Economy Class qualities, the survey’s listing of best seats went to Japan Airlines, followed in order by Asiana, Thai, Korean and Singapore. Tops in Economy Class catering was Thai, followed by Turkish Airlines, Asiana, Qatar and Japan Airlines. Which airline offers the best economy class to you? Please share your answers below. Remember when the posh Ritz in Paris closed down almost two years ago for a full renovation? 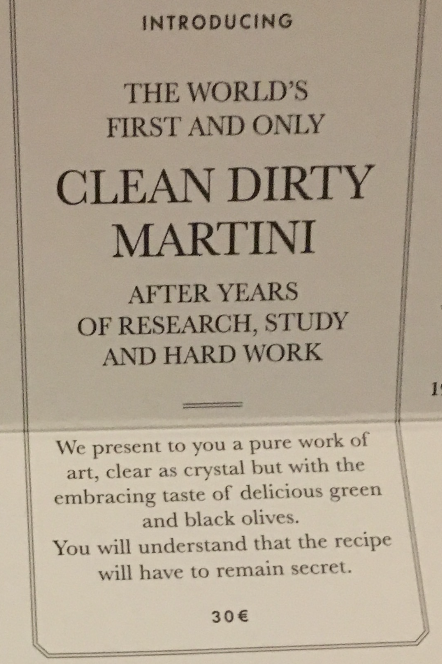 Well, it appears that cocktails at the Hemingway Bar should help foot the bill for the redo. TravelSkills reader BD sent us a photo of the drinks menu– each cocktail is 30 euros- about $35. Sante! Rooms this summer start at 1,100 euros or about $1,250. 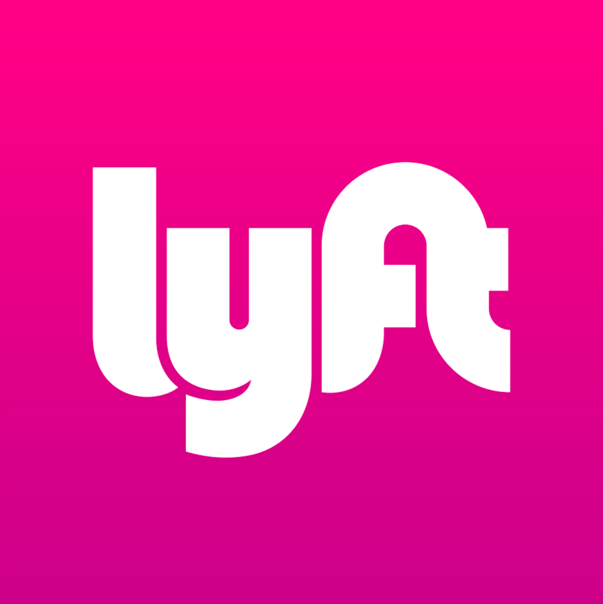 Hey have you given Lyft a try yet? We’ve recently been won over by friendlier drivers, ease in tipping, and rides in the front seat. Get $20 off your first ride when using our link! Will the future of travel include flying hotel rooms? Don’t miss this gorgeous video of Cathay Pacific’s BRAND new Pier Business Class lounge at Hong Kong- getting RAVE reviews! Can’t wait to see it in person! Big day approaches in Big D. In two weeks — on October 13 — the Wright Amendment expires, opening up Dallas’ close-in Love Field to a new era of long-haul domestic routes, and the major players are getting ready. 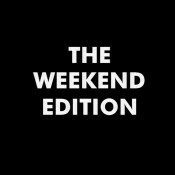 Virgin America teamed up with ride-finding service Uber and with HotelTonight to offer discounts and digital promotions at a special website, www.ShareTheLoveDallas.com. Southwest has scheduled a series of concerts and a golf tournament, and will give away prizes in-flight to passengers during the first week of service. Southwest set up a website detailing its new DAL routes at www.nonstoplove.com. Turkish Airlines eyes ATL service. 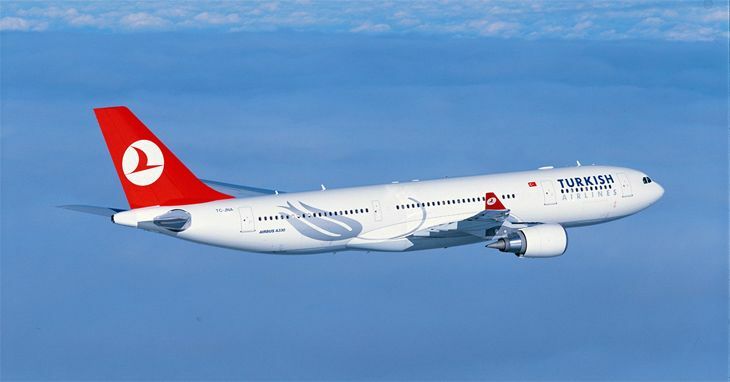 In an interview with Bloomberg News, Turkish Airlines CEO Temel Kotil said the fast-growing carrier plans to start flying from Istanbul to Atlanta, although he gave no date for the service. 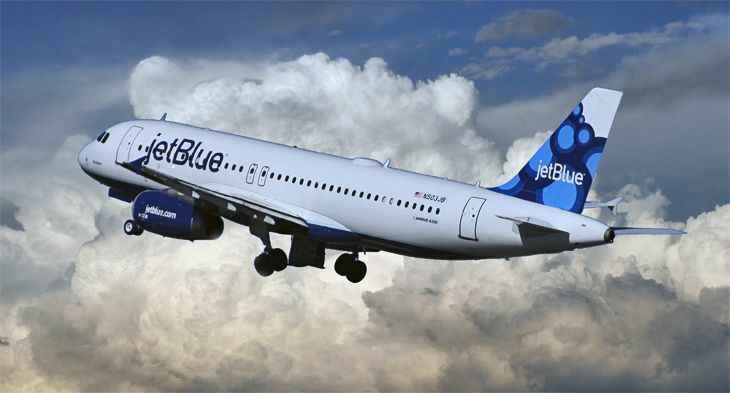 The airline already announced it will begin San Francisco flights next April. Kotil said the carrier also plans to add more frequencies to Chicago, Washington Dulles and LAX. Turkish is part of the Star Alliance, and its other U.S. routes include New York, Boston and Houston. Turkish giving the fast growing Gulf carriers like Emirates or Etihad a run for their money competing for passengers headed to the Middle East, India and Africa. A new carrier in ATL might help the airport retain its title as “world’s busiest,” which this NPR story says might be in jeopardy. Air France strike ends. According to AP, the painful Air France strike has ended. Meanwhile, Lufthansa braces for it’s own pilots to strike by canceling a raft of transatlantic flights. Big smiles at Delta. If you notice that your Delta flight attendants or gate agents have a bit more spring in their step in coming months, it could be because Delta is giving all employees a nice 5% profit-sharing payout for 2014 and has promised a 3-4% payout next year. Forbes reports: “Delta will report record profitability in 2014, while its stock is a top twenty S&P 500 performer and its operational reliability and customer satisfaction are at the top of the industry.” In similar news, United Airlines announced Monday that it will offer its thousands of flight attendants an early and voluntary buyout option, a lump-sum payout worth up to $100,000. Time reports that United would not disclose the criteria needed to earn the maximum buyout but is hoping at least 2,100 employees take advantage of the offer. Frontier grows at SFO, PHX. 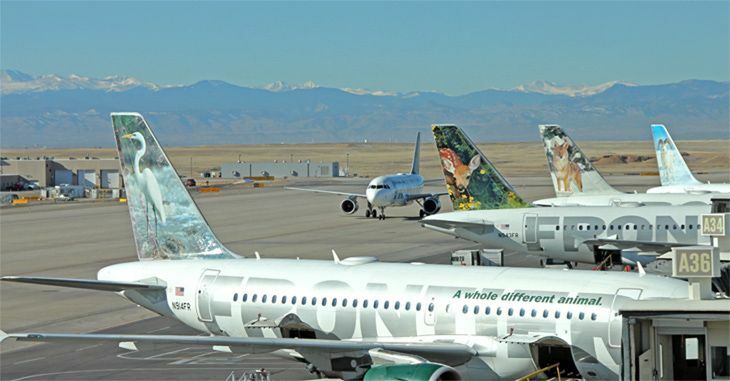 Frontier Airlines — whose strategy as a new ultra-low-cost carrier (along the lines of Spirit Air) is to nibble at the edges of major business markets — plans to start flying from San Francisco International to Houston Bush Intercontinental and Phoenix November 20. Technically, the service will break up United’s SFO-IAH monopoly and could impact its high fares, but it’s hardly a big threat since Frontier plans one flight a day vs. United’s 10 — and since Frontier levies some heavy fees, like a carry-on bag charge for low-fare passengers. SFO-Phoenix is dominated by Southwest and American/US Airways, with dozens of daily flights vs. Frontier’s planned single departure. Also on November 20, Frontier will add once-a-day flights between PHX-Houston and PHX-Salt Lake City. People Express suspends service. After a big kick off last summer, Virginia-based People Express is already hitting hard times. According to the Atlanta Business Chronicle, the carrier suspended service suddenly last week. But it said that it might crank up again by Oct 16 according to a press release. Hmm. Cost of a disrupted trip: $1,475. The most common “travel mishap,” according to a new survey of 500 business travelers, is a flight disrupted by a delay, cancellation or missed connection (like those entangled in the Chicago air traffic shutdown on Friday) — and the average cost to the traveler caught up in the problem is $1,475 in missed work and out-of-pocket expenses, according to the Global Business Travel Association. If the mishap occurs overseas, the average cost jumps to $2,148. When a mishap causes the traveler to miss work, the average time lost is 2.3 days. What was your worst ‘travel mishap’ and how did it impact your schedule? AA plans DFW-Beijing flights. American Airlines wants to add Beijing as the newest transpacific spoke from its Dallas/Ft. Worth hub. 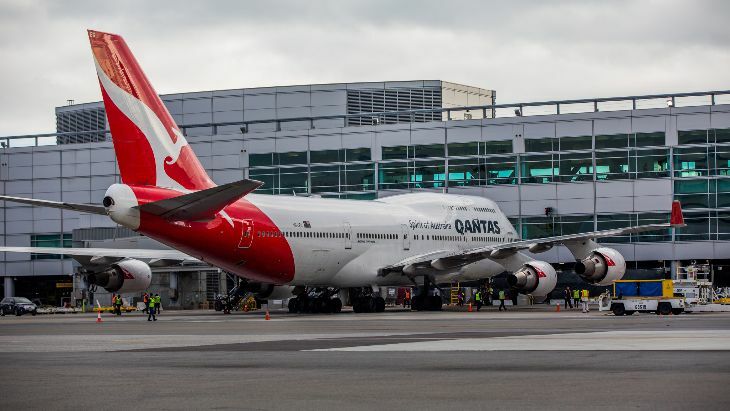 The carrier last week filed for government approval to begin daily 777-200ER flights from DFW to Beijing’s Capital International Airport sometime next summer. AA already flies from DFW to Hong Kong, Seoul, Shanghai and Tokyo, and it serves Beijing from Chicago O’Hare. Lower fares at ATL thanks to Spirit. Ultra low-fare carrier Spirit Air’s entry into the Atlanta-Detroit market has resulted in lower fares on not just Spirit, but on Delta and Southwest, which had significantly jacked up fares over the last two years, according to the Detroit Free Press. In related news, when United announced a big downsizing of its Cleveland operation several months back, Frontier started beefing up its presence there, and now Spirit Airlines is doing the same. Spirit will begin new CLE service in mid-January to Orlando, Tampa and Ft. Myers; on February 5 to Ft. Lauderdale, DFW and Las Vegas; and April 16 to Los Angeles and Myrtle Beach. 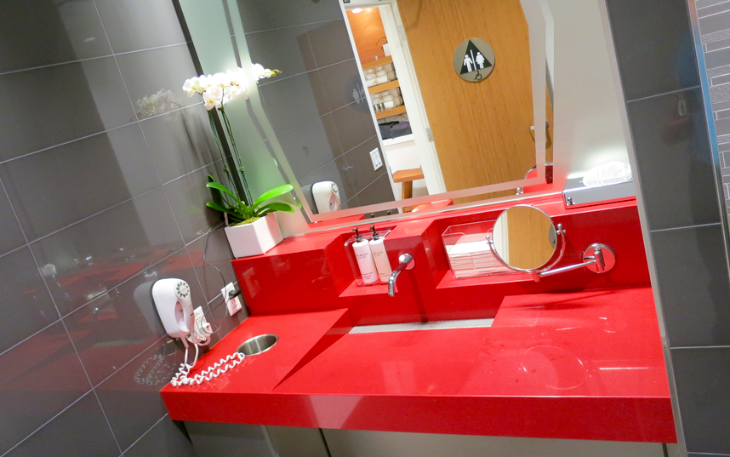 Virgin Atlantic Clubhouse at LAX. In airport news this week, Virgin Atlantic will build its own Clubhouse for Upper Class passengers at Los Angeles International. No details yet, but it will occupy 4,000 square feet and open next spring. 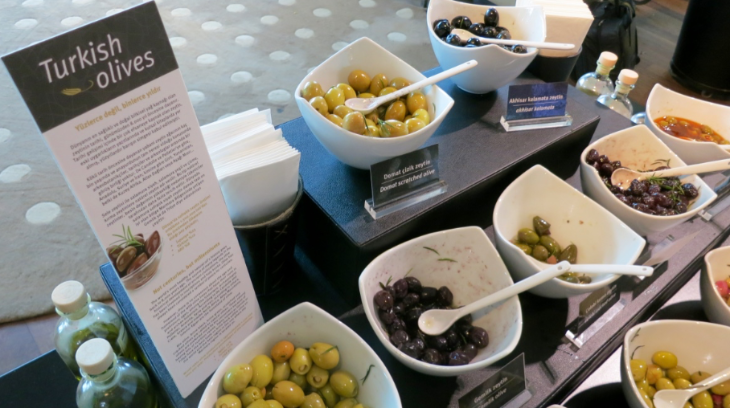 Currently, the airline’s premium flyers use Virgin America’s and Air New Zealand’s LAX lounges …Los Angeles International has installed 40 of those new automated passport control kiosks for arriving passengers in the Tom Bradley International Terminal, and Delta opened up 10 of the devices in Terminal 5 . Uber, Lyft, Sidecar back in hot water. 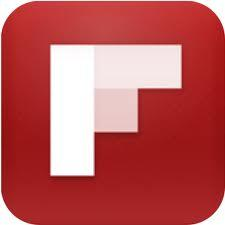 Ride sharing companies are facing a new round of legal threats from city officials in San Francisco and Los Angeles. Seems like a never ending story… and thankfully, Uber and others seem to just ignore the threats and continue hauling business travelers around town and to the airport. In a related note, Uber has reportedly reinstated it’s flat $65 fare between San Francisco and SFO. TravelSkills riders in Pacific Heights had complained loudly about airport trips costing $95 or more… apparently Uber heard the squawks and fares are back down. 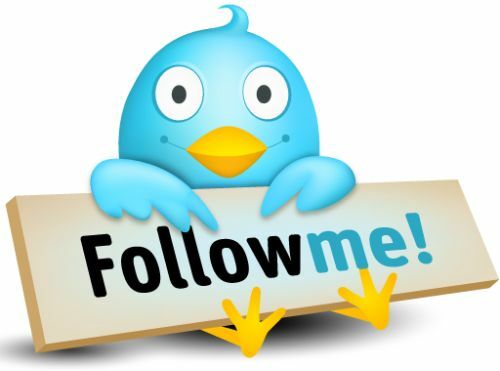 Have you noticed? 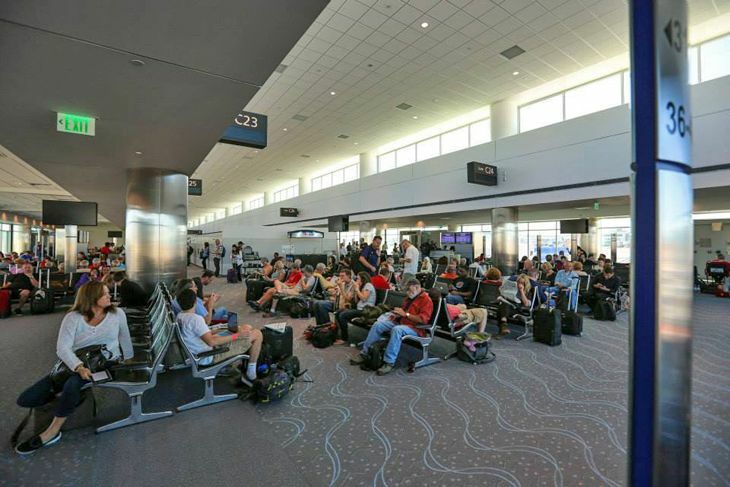 Southwest grows at DEN.Denver International cut the ribbon on a five-gate expansion of Terminal C, allowing Southwest Airlines to expand…pushing Frontier into other cities and keeping United on its toes. Speeding up at Ft Lauderdale Flight delays at Ft. Lauderdale-Hollywood International should ease up considerably following the opening last week of a new 8,000-foot runway there. NYC property closes; new Ritz-Carlton in Florida. The InterContinental New York Barclay Hotel in Midtown Manhattan has closed its doors for a much needed, 18-month, $175 million renovation. (The Barclay is located alongside another NYC grand dame that needs the same type of loving restoration…which hotel are wer referring to?? Leave your guesses and comments below!) In other hotel news: Florida’s One Bal Harbour Resort north of Miami Beach will become The Ritz-Carlton Bal Harbour, Miami effective October 2 … A former Sheraton a mile from Washington’s Reagan National Airport in Arlington, Va., is now the Westin Crystal City. >Here’s how to save money on overseas mobile roaming. >Try these tips for making free or low-cost calls from overseas.